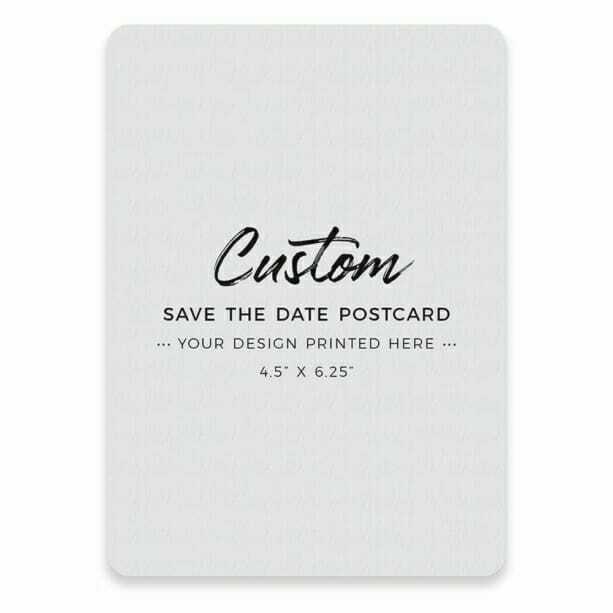 Save the date cards are printed on beautifully textured, heavy, card stock in your choice of white or ivory. Envelopes included. A free proof will be emailed after your order has been submitted. (Allow 2 business days.) Your cards will not be printed until you approve your proof and you will have the opportunity to make changes, if necessary. This card is printed on beautiful, lightly textured, card stock in your choice of white or ivory. In addition, pearl shimmer card stock is available for a small fee. Pearl shimmer adds an especially lovely glow to most invitations, which makes it a perfect choice for wedding stationery. Each card comes with a matching envelope but you can upgrade to colorful envelopes for a small fee. All envelopes feature an elegant, deep flap style, which is ideal for important events.